GMW Machines: Owner-operated. Experienced. International. 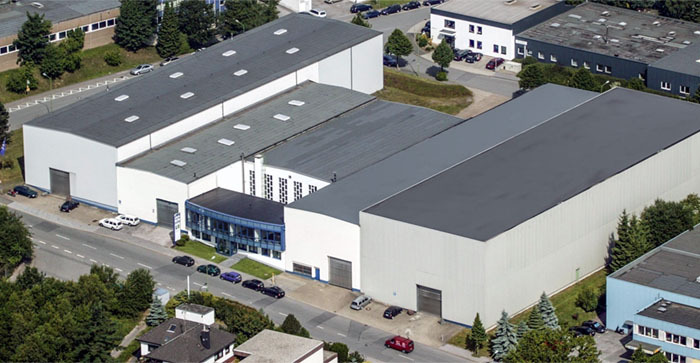 GMW Machines is an independent, owner-managed company based in Ennepetal and Potsdam. 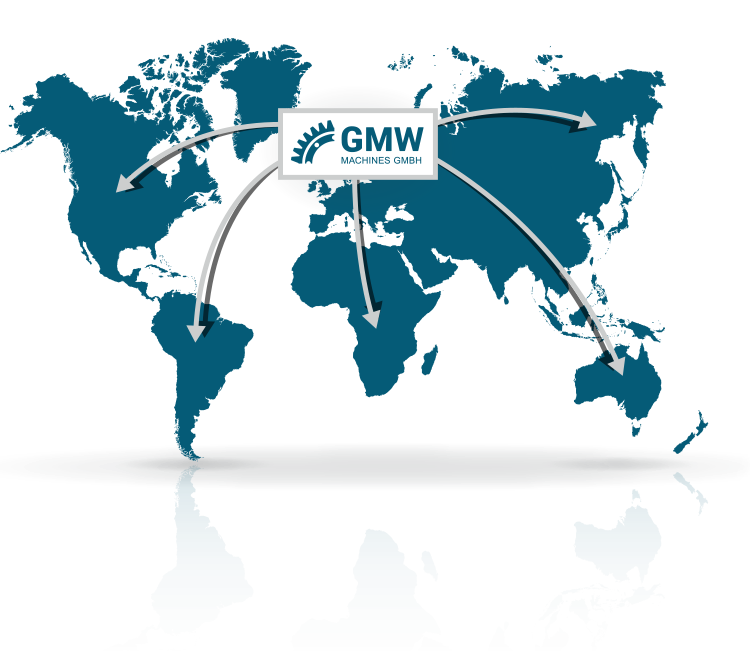 Our well-rehearsed core team at the German GMW location works closely together with the worldwide network of leading technology and service partners, trained and audited according to the strict GMW quality guidelines. 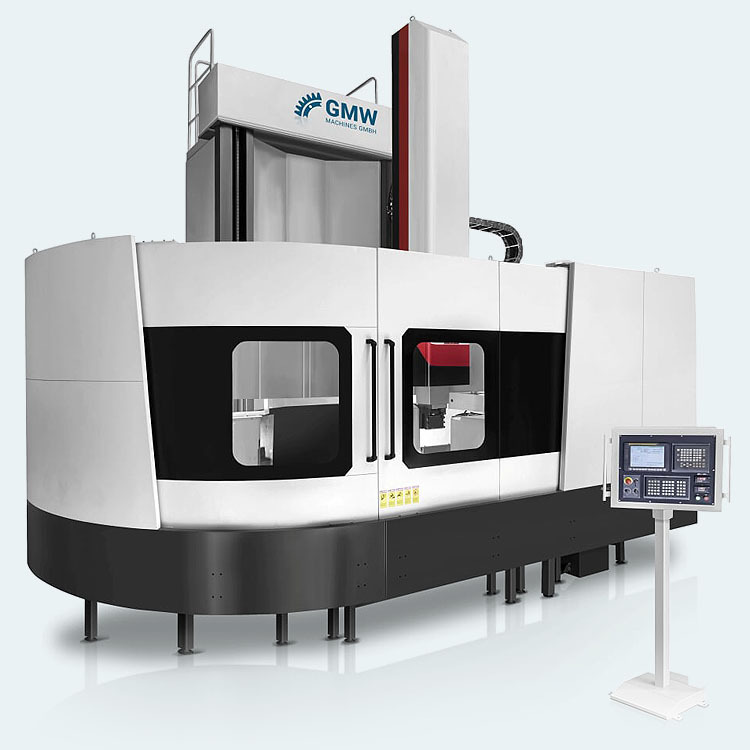 GMW Machines was founded as an independent company in 2013. Therefore the two managing directors Dipl. Ing. (FH) Larsen Priebs and Dipl. Ing. (FH) Holger Wirths officially merged their activities in the field of mechanical engineering. They have been working closely together since 2004. Both entrepreneurs have decades of experience in mechanical engineering. Dipl. Ing. (FH) Larsen Priebs made an international name for himself as an employee of well-known German engineering companys. Dipl. Ing. (FH) Holger Wirths is the successful owner of Wirths GmbH, a German trading company for used machine tools, sheet metal processing machines and presses that has been operating internationally for more than 60 years. GMW offers a wide range of cutting machines for worldwide use that meet the requirements of modern production. For our machines we exclusively select tested suppliers from our worldwide partner network, who combine solid construction with mature technology. Our heavy machinery portfolio includes vertical lathes, horizontal lathes, table and floor type boring machines, portal milling machines, machining centres and special accessories. The design of each machine is conceived according to customer and project requirements, summarised in a functional specification and manufactured, assembled and delivered after receipt of the customer confirmation. Basically, our machine tools consist of a solid cast body of high quality and strength. These cast bodies are machined on high-quality production machines so that our customers can machine their products with high precision on these machines. We equip the basic body as required with components from renowned, internationally recognised brand manufacturers. In combination with high-precision mechanics and high-quality high-tech components, we supply our customers with cutting machines of the highest quality. In this way, we ensure efficient process manufacturing and further development of our products at all times. Partners for the CNC controls are Siemens and Fanuc, the measuring systems used are supplied by Heidenhain and the hydraulics by Bosch Rexroth. We also obtain all other components of our machines for the completion of the individual assemblies from tested manufacturers. We realize custom-made products according to your requirement profile in cooperation with our network of technology partners and in close coordination with our customers. Together with our German mechanical engineering partner companies, we tailor the special designs exactly to your production requirements. It goes without saying that every machine, whether standard version or special model, is tested and equipped according to the safety requirements of the legislator. We see ourselves as a system partner who offers you an all-round service. For us, this means that we are always there for you personally before, during and after the project. Our management and employees form a well-rehearsed team, which can react flexibly to your requirements at short notice at any time. This enables us to solve your tasks even at short notice. How do we achieve the greatest possible efficiency for our customers in terms of configuration, construction, quality and price of the machine? This requirement is the focus of our consulting during the project planning phase. Together we will find the optimum solution and offer you your machine at a highly attractive price-performance ratio. All machines are assembled in our factory in Ennepetal and accepted and delivered together with the customer. Installation and commissioning are then carried out at our customers’ premises. Our GMW service team of experienced technicians, engineers and partners will stay with you until everything functions smoothly. Parallel to the assembly your employees will be trained on the respective machines. A reliable and fast after-sales service is a guarantee for our success and the satisfaction of our customers. 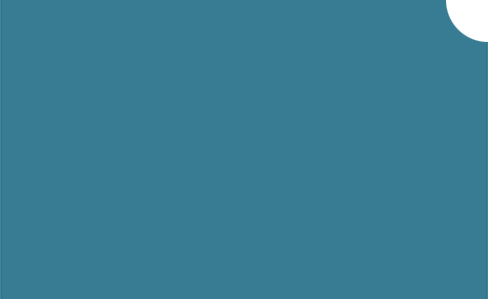 If you need our support, our immediate telephone assistance is at your disposal. Upon request, we will send a service technician to you within a maximum of 48 hours. 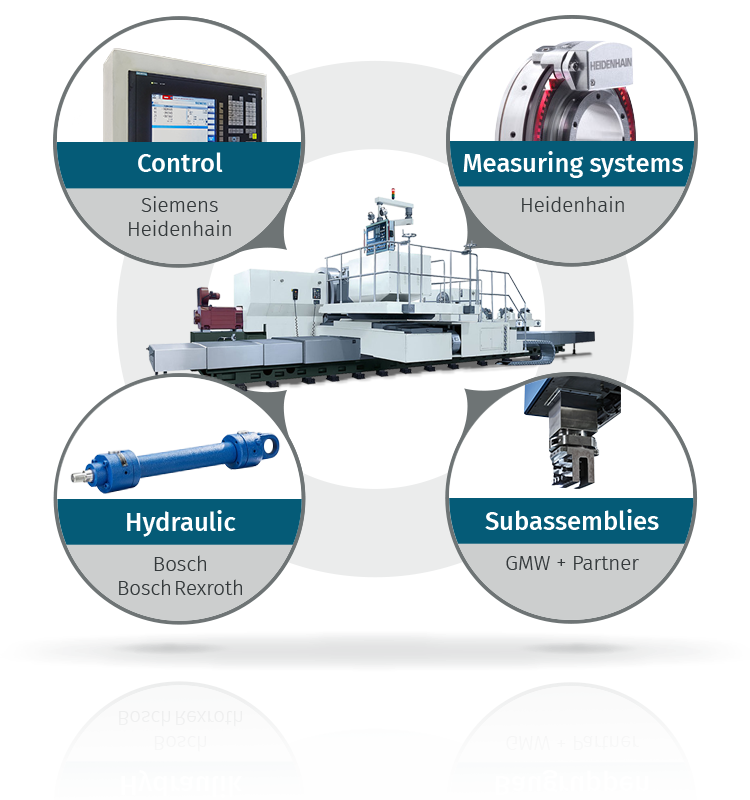 Our audited technology partners Bosch, Heidenhain, Siemens etc. also support you worldwide with their service networks. Quality and safety are our top priorities – this applies to our products as well as to our processes. 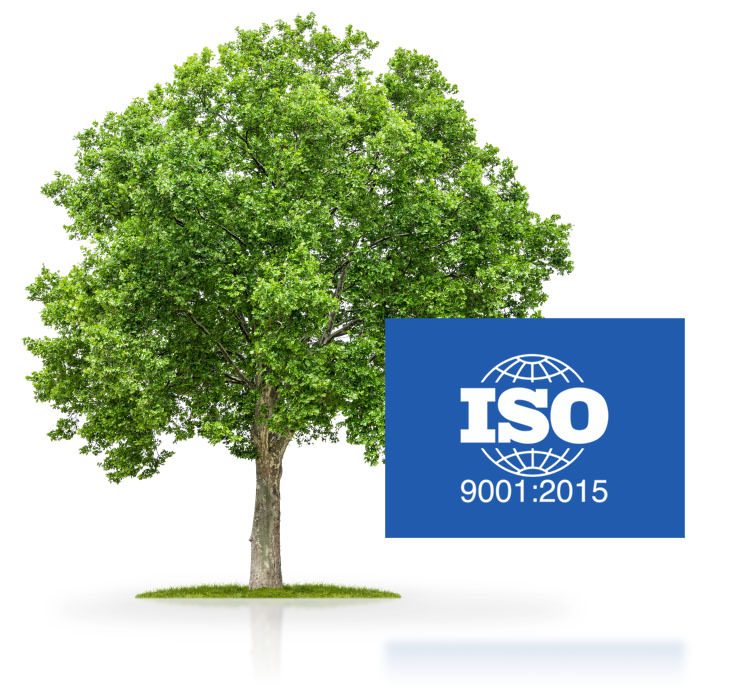 As part of our quality management system in accordance with DIN EN ISO 9001, we ensure the documentation and continuous optimisation of our processes and structures. Quality controls are firmly integrated into the production process and underpin the trust placed in our machine tools. In principle we give a guarantee of 12 months, which can be extended individually to 24 months. Respect and fairness, openness and partnership characterize our interaction with each other in our team. The trusting cooperation with our customers and network partners is also based on these values. We also assume responsibility for the conservation of our natural resources, for example through the use of efficient technologies and the professional disposal and processing of the materials used.